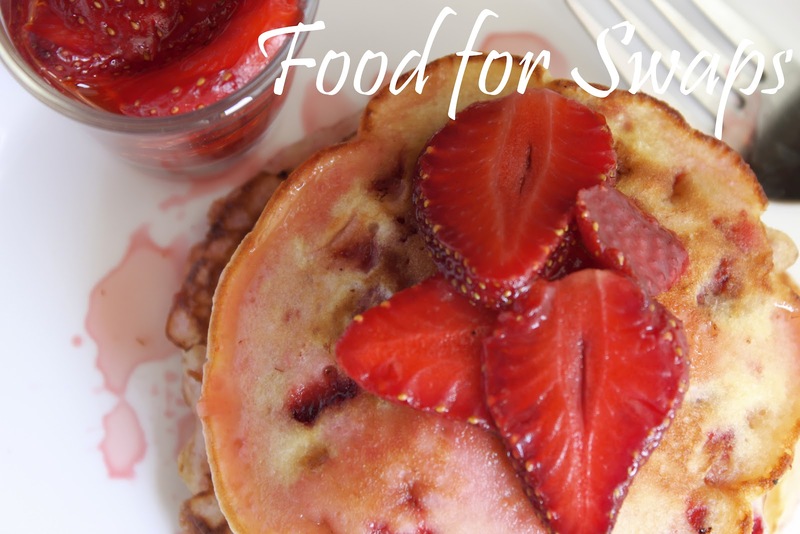 To make the Strawberries in Wine: Heat the wine and sugar in a large pan until the sugar dissolves. Bring the liquid to a boil toss in the strawberries, take off the heat. Add the vanilla essence, cover the pan and set aside for the fruit to steep in the liquid until cool. 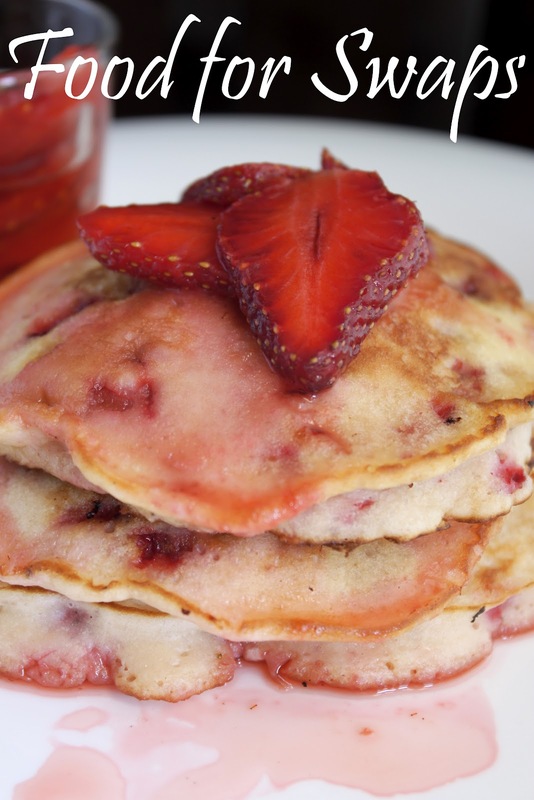 To make the griddle cakes: Sift the flour, cinnamon, salt and baking powder in a large bowl. Stir in the sugar. Make a well in the center and tip in the egg, milk and lemon juice to make a batter. Add the diced strawberries to the mix. Mix well till small bubbles appear on the surface of the batter. Heat a non stick frying pan and add a little salted butter. Add spoonfuls of the batter to the pan to make small thick pancakes. Cook on medium heat until bubbles start to appear on the surface of the griddle cakes – about 2 or 3 mins. Flip and continue to cook for another 2-3 mins. Repeat with the rest. 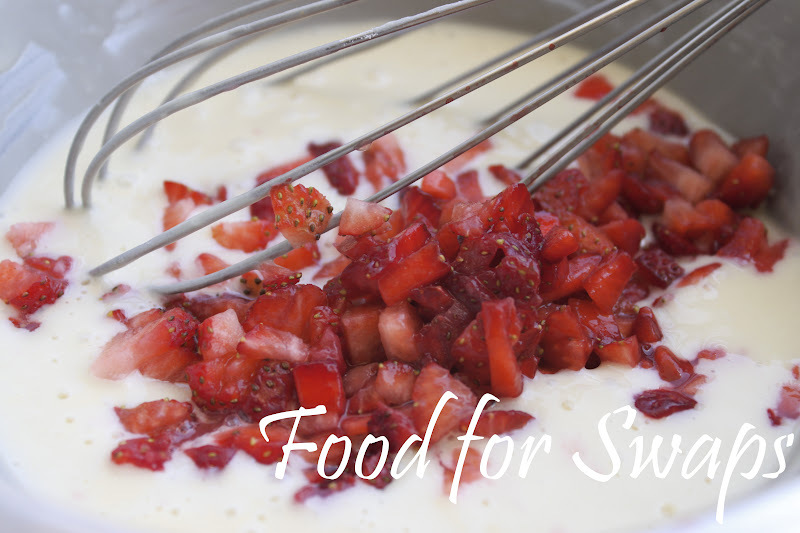 Serve warm with the wine steeped strawberries. Note: If cooking in batches, keep the cooked ones warm in a low oven while you finish the rest. Oh yes.. It would make a lovely combo with ice cream. I also love to dip my strawberries in hot fudge and eat it… the tart taste with sweet hot fudge is simply divine!